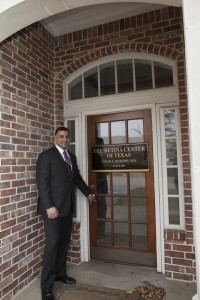 RCT is proud to open our third location at 3804 W. 15th Street in Plano. 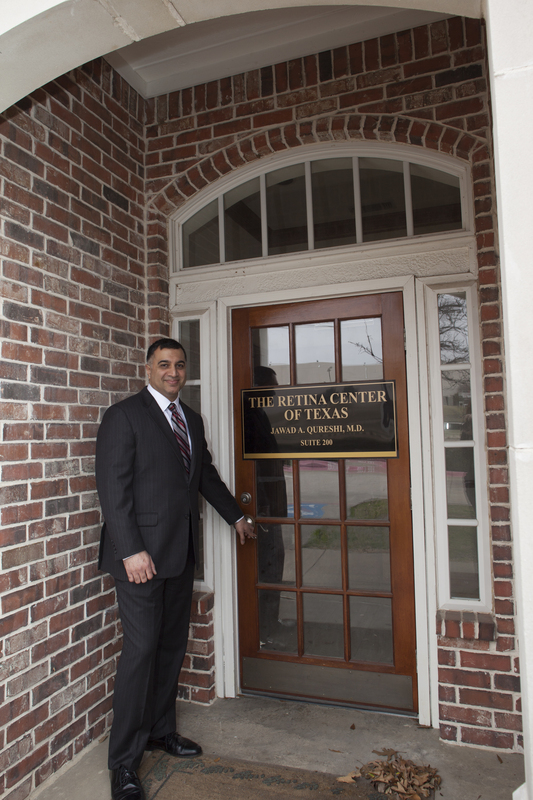 Joining the offices in Grapevine and Fort Worth, the new Plano location will bring RCT’s full range of services to the area continuing to focus on patient care with state-of-the-art treatments in a compassionate environment. Drs. Qureshi, Warminski, and Dajee are excited about the opportunity to provide care for patients in Plano, Frisco, Richardson, Addison, Carrollton, North Dallas, Allen, and McKinney. One of the main problems in treating retinal disease is the fact that the retinal cells do not regenerate when damaged. Tremendous advances have been made in the treatment of retinal conditions but these interventions are based on controlling and limiting damage to the retina, after the damage occurs we have very little we can offer our patients. Several different possible treatments are in development, one of the most promising of which is a retinal prosthesis. Second Sight currently has the Argus II retinal implant on the market for use in patients with severe retinitis pigmentosa. The device works by an implanted electrode on the surface of the retina stimulating the tissue from signal it receives from a glasses mounted camera. The Argus II implant has been able to improve sight but to a limited degree based on the number of electrodes that can be implanted. NBC news reports yesterday http://www.nbcnews.com/mach/science/tiny-device-game-changer-people-facing-blindness-n738921 of new research in Italy that would increase the resolution of retinal implants significantly. Increasing the number of electrodes would increase the potential vision that patients could achieve as well as increasing the number of patients that could be benefited. As the technology advances we at RCT remain dedicated to bringing these advanced treatments to our patients. A New York Times article on February 20, 2017 highlights a study from JAMA Ophthalmology that details current perceptions of vision loss in patients. In the study, 47.5% of respondents rated vision loss as the worst overall health outcome, outranking loss of limb, memory, or speech. 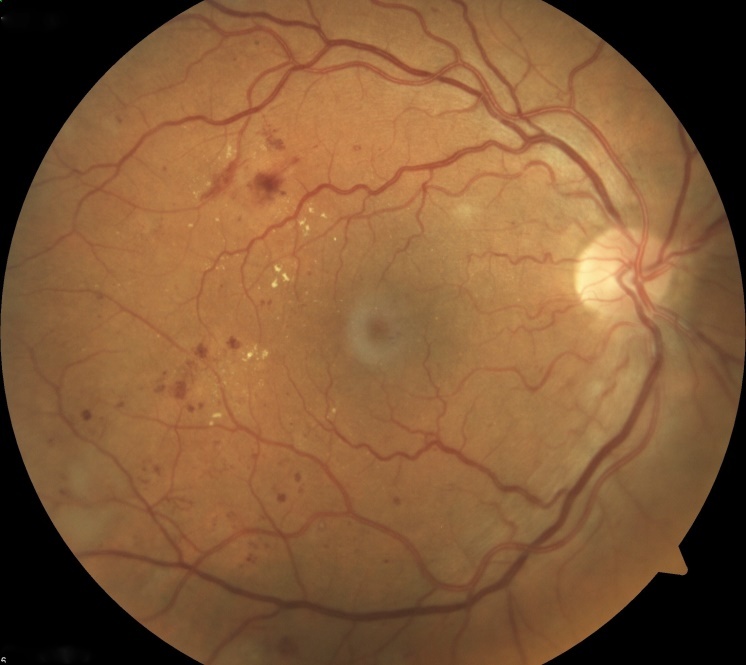 The study also demonstrates that while the most common causes of vision loss in the United States are Age-Related Macular Degeneration and Diabetic Retinopathy, less than half of those surveyed could identify them as causes of vision loss. We at RCT continue our commitment to education and treatment of these most blinding diseases. Join us in congratulating Dr. Qureshi on an amazing 5 years and planning for many, many more in the future! Improving your overall health is a good way to reduce the risk of serious retinal conditions. Make your New Year resolution to improve health and minimize the chance of vision loss. Control diabetes – Diabetic retinopathy is the leading cause of blindness in patients of working age and is the result of a lifetime of elevated blood glucose levels that damage the small blood vessels in the body. In the eye, the retinal vessels can become leaky and eventually can’t carry enough blood to supply the retinal tissue. Dr. Qureshi explains “fortunately, damage from diabetes is preventable with good control of blood sugar. Study after study shows that maintaining as close to normal blood sugar levels as possible can prevent retinal damage from diabetes.” Make 2016 the year you get control of your diabetes. STOP SMOKING! – Age related macular degeneration remains the leading cause of blindness in people over the age of 65 and one of the principle problems treated by physicians at RCT. There are many risk factors for AMD but few are modifiable. Dr. Chavala states that “compelling animal studies suggest that smoking can worsen the severity of wet macular degeneration and possibly make the disease more difficult to treat.” He goes on to say: “In my personal experience, I have noticed that wet macular degeneration patients who smoke have more bleeding and fluid leakage making our therapies less effective.” Make 2016 the year you finally stop smoking. Get a complete eye exam – There are multiple different diseases that can affect your vision and can even cause irreversible blindness but few of them happen suddenly. Dr. Warminski recommends, “a thorough eye exam starting at the age of 40 can identify early disease or risk factors that can help reduce the chance of developing vision loss in the future.” National studies show 1 in 3 Americans have some vision threatening problem by the age of 65 and early detection is the best weapon against these conditions1. Dr. Warminski continues, “depending on the findings of the exam, family history, and other medical problems the appropriate interval exams can be determined to monitor for any disease progression.” Make 2016 the year you get a complete eye exam. All here at RCT wish you and your families a happy, healthy 2016! 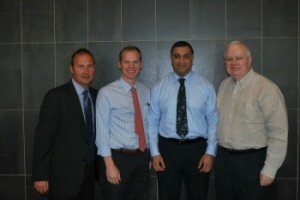 Project Access Tarrant County (PATC) featured Dr. Warminski in the June edition of its monthly newsletter. PATC is an initiative by the Tarrant County Medical Society to provide medical care for the uninsured and working poor in Tarrant County. Through their efforts, patients who would not have access to care are able to see primary care and specialty physicians while receiving treatments at hospitals through the donation of time and resources.